Couponing doesn't make the consumer cheap, it makes them a savvy shopper. Using discounted gift cards and coupons at retailers isn't just an option for savings - it's a lifestyle for consumers to save on everyday items. Pop culture icons and talk show hosts have made a statement – those who participate in “couponing” are savvy shoppers and aren’t just penny pinchers. Although shoppers saved $4.6 billion dollars with coupons (NCH Marketing Services) in 2011, everyday consumers have just made savings an option instead of a lifestyle. During a time with high unemployment and increased prices, consumers are learning to take advantage of discounted gift cards and coupons as a means to get what they need without paying full price. Consumers saved $25,000 in March using CouponTrade.com’s online savings hub, which includes discounted gift cards and coupon codes. "Since the economy crashed in 2007, the American consumer began to live frugally," CouponTrade COO Brad Wasz said. "What was a necessity became a habit and is now actually cool, since reality TV stars agree that savings is free money. 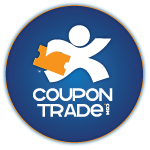 From coupons to gift cards and daily deals, CouponTrade has all of the savings vehicles in one easy to use marketplace." Consumers are taking advantage of online coupons, since 92.5 million consumers are estimated to use online coupons in 2012 (eMarketer survey). This number reflects that only one third of the United States population is saving using daily deals and online coupons. Plenty of shoppers still haven’t discovered the impact that coupon codes have on their purchases at popular retailers. A variety of gift card exchange and savings sites have existed for several years, but CouponTrade is the first consumer-to-consumer marketplace for users to get a return on the $55 million worth of gift cards that go unused each day and also save using coupon codes. Since many consumers list their gift cards at a discount, savvy shoppers can buy a card for less than its value and use a coupon from the same retailer to increase their savings. CouponTrade’s coupon code database of over 1,500 retailers is continuously updated by its affiliate marketing team to ensure that the site has working coupons. The site also requires sellers to have a verified PayPal account to complete transactions and assures customers a guarantee on every transaction with its buyer protection policy. “It’s our mission to become the web’s most extensive marketplace with gift cards, daily deals and coupon codes. We aim to make our customers feel safe with their transactions while helping them stretch their dollar,” CEO and founder George Bousis said. For more information on how to list gift cards or use coupon codes to increase savings, visit coupontrade.com. CouponTrade is an online savings site where consumers are put at the center of the shopping experience, helping people get a discount on the items they want through using online coupon codes from the site’s extensive database. Since the Chicago-based startup’s inception in May 2011, the site has grown from its online marketplace where consumers could buy and sell their unwanted gift cards and daily deals to helping its users get a deal on everyday purchases. It is CouponTrade’s mission to help consumers take advantage of savings – free money that should never go to waste.